Lenovo has announced their latest offering in the budget phone category which is having lot of competition lately with devices like the Xiaomi Redmi Note and Yu Yureka which are in the similar price range and having similar specifications and display size. Coming to the specifications aspect the Lenovo A6000 comes with a 5 inch display having 720p resolution. The device is powered by a Qualcomm Snapdragon 410 processor having 1GB RAM and 8GB of internal storage which can be further expanded using micro-SD card support. It is further equipped with a 8MP rear or primary camera and a 2MP front facing camera. The Lenovo A6000 is powered by a 2300 mAh battery which is said to give 13 hours of talk time and 11.5 days of standby time. The device comes with Android 4.4 KitKat which is Vibe 2.0 UI layered, it further comes with Dual speakers having Dolby Digital Plus technology and is reportedly said to be priced at $170, which is about Rs. 10500 in Indian currency. Other connectivity options included are Wi-Fi, LTE, Bluetooth 4.0, and there are Dual SIM card slots. The device will be coming to India after its release and will be up against the budget smartphones like Micromax Yu Yureka and the Xiaomi Redmi Note and Redmi 1s. The device also has 4G LTE enabling which is seen in the Redmi Note version which is being sold at Rs. 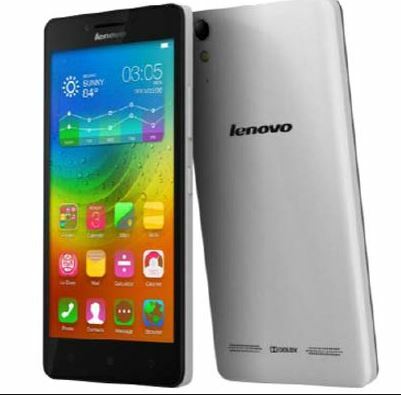 9,999 and the pricing of Lenovo A6000 at Rs. 10,500 is decent enough and is giving more options to users in the budget category to choose from. We have to wait and see when the sales will start and if the device will be sold only through Flipkart or will be available in Retail outlets as well around India.